Jamaica Stock Exchange (JSE) has advised that a connected party purchased 100,000 JSE shares on March 15, 2018. Jamaica Stock Exchange (JSE) has advised that at a meeting of their Board of Directors to be held on March 21, 2018, the directors will consider the payment of a final dividend for the year ended December 31, 2017. Please be advised that the JSE trade sheet dated January 18, 2018 that was published in the Financial Gleaner on Friday, January 19, 2018 was incorrectly published by The Gleaner. The correct trade sheet is posted on the JSE’s website and can be viewed via the following link, https://www.jamstockex.com/market-data/combined-market/quote/2018-01-18. 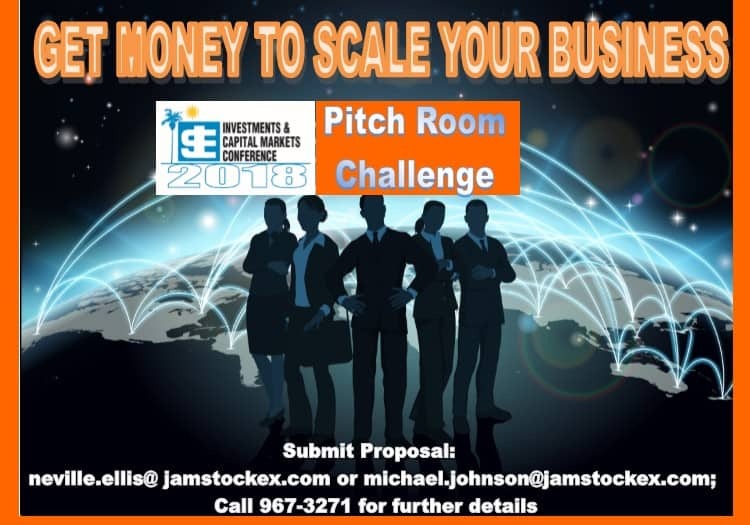 The Jamaica Stock Exchange is proud to be sponsoring another Venture Capital Pitch Room as part of the exciting line up of opportunities at the 2018 Regional Investments & Capital Markets Conference to be held at The Jamaica Pegasus Hotel, January 23-25, 2018. JMMB Group Limited and Honey Bun (1982) Limited captured the prestigious Governor General’s Awards.